What Causes Bad Breath and How Do You Treat It? Dr. Daniel Ngui, B Sc. (P.T. ), MD, CFPC, FCFP, Family Physician , discusses the cause of bad breath and possible treatment options. What Causes Bad Breath and How Do You Treat It? Dr. Daniel Ngui, B Sc. (P.T. ), MD, CFPC, FCFP, Family Physician , discusses the cause of bad breath and possible treatment options. Bad breath is a topic that patients sometimes just don't want to talk about but sometimes bad breath is a topic that your spouse or your loved one may ask you to speak to your doctor or dental provider about. Bad breath is also called halitosis. Halitosis occurs for many reasons and it can be addressed by getting some advice from your healthcare provider. The simple things that people can do including drinking plenty of water, practicing proper dental hygiene such as flossing and brushing your teeth and your tongue and finally having a conversation with your family doctor or your dentist about the contributing factors to bad breath can be very helpful for you. Instead of spending a lot of time buying gums, mouthwashes, different toothpastes, and wondering what to do, it's important to speak to your health provider about the reasons for bad breath. The many reasons for bad breath include food, tobacco products, poor dental hygiene. Your doctors and your health providers will ask you about whether or not it's a dry mouth or xerostomia that is causing your bad breath. It's important that your dentist and your health provider will be asking you about medications that can contribute to bad breath by causing a dry mouth and whether or not you have other medical conditions such as infections of the nose, the sinuses or the throat that contribute to ongoing problems. Finally, your family doctor or dentist will screen you for other conditions that are easily treatable that contribute to bad breath. Heartburn that is often not treated can lead to bad breath. Simple things can be done such as removing foreign bodies from little kids or treating simple infections. 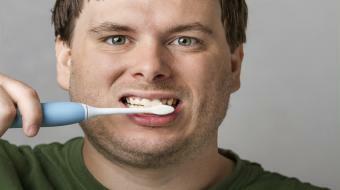 Overall, halitosis is very important for your quality of life as patients. So if you think you have a problem with bad breath or your loved ones are telling you you have a problem with bad breath, please go and speak to your family doctor or dental provider to find out different techniques to treat and prevent bad breath from occurring and affecting your quality of life.